DividendMax»Company Coverage»Country:United States»Exchange:NASDAQ»Sector:Food and Drug Retailers»Company:Starbucks Corp.
Starbucks is one of the best-known coffee shop brands in the world, buying and roasting whole bean coffees and selling them, along with fresh, rich-brewed, Italian style espresso beverages, a variety of pastries and confections, and coffee-related accessories and equipment. It operates through more than 7,500 retail locations in North America, Latin America, Europe, the Middle East and the Pacific Rim. Additionally, Starbucks produces and sells bottled Frappuccino and Starbucks DoubleShot coffee drinks and a line of premium ice creams. 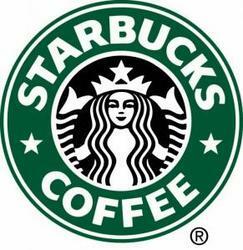 Starbucks started paying a dividend in 2010 and has been increasing it ever since. With a high dividend cover and an unremitting global demand for coffee, analysts are expecting further impressive increases in dividends.